Tomorrow is Make a Difference Day! Ocean litter is a big problem, but the good thing about it is we can all make a difference. A vast majority of marine debris in the global ocean is from land-based sources and activities, which means that we can stop it right here where we live. At the Marine Debris Program, our partners make a difference everyday by removing debris from shores, the Great Lakes, and our ocean and by helping others prevent debris from ever getting to the water. You can be part of the solution too. Tomorrow, see what you can do to make a difference in the amount of trash entering the ocean and Great Lakes. A lot of debris comes from plastic packaging. See if you can go the whole day (better yet, the whole weekend) without buying anything in plastic packaging. Pick up all the trash you see on the ground and dispose of it properly. If you want to go one step farther, organize your own cleanup. Spread the word! Tell your friends and family why it’s important to you to keep trash out of our waterways. Take a look at what trash you were going to throw away and see if you can repurpose it into something new (like maybe a halloween costume). Whatever you do to make a difference tomorrow, we thank you! 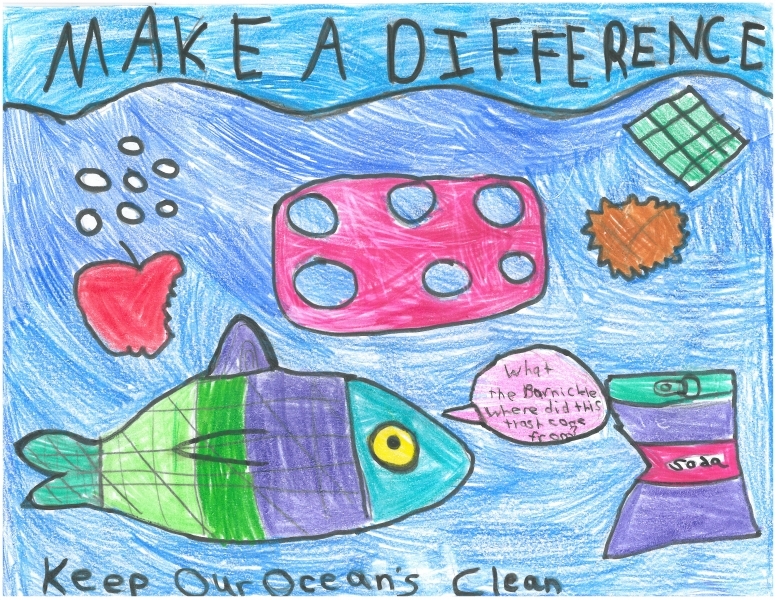 Marine debris is everyone’s problem and everyone can help solve the problem.